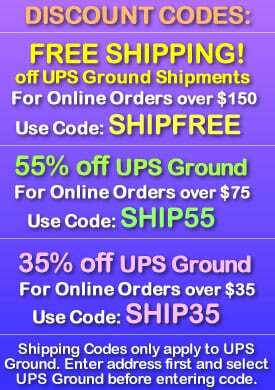 - Light Up Multi Color LED Marker Ball! - Waterproof - Floats in Water! - 9 Color and Light Settings all in one Marker Ball! 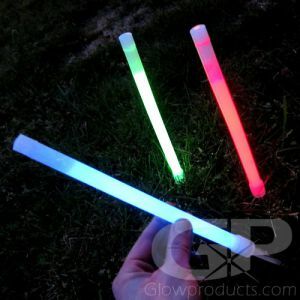 - Use as Glowing Tee Markers for Night Golf! 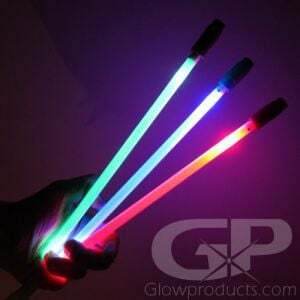 - Use as Course Markers for Glow Sports! - Light up Paths and Walkways! Light up the tee box, light up the path and light up the night with Glow in the Dark Marker Balls with Ground Stakes! 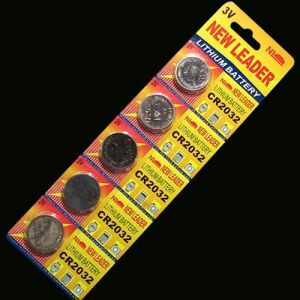 The Glowing LED Spike Marker Balls will keep your playing field or golf green lit all night long! The Spiked LED Marker Ball is a must have for your late night sports games! Every press of the power button will give a different lighting effect up to a total of nine different color settings! The ability to change the desired color mode will allow you to use the markers to highlight different areas of your course such as red for sandtraps or blue for water hazards and green for the tee blocks. You can also use the LED Marker Balls to light up garden paths and dark walkways at your event and they make great decorations for your yard too! The versatile Round LED Decor Lamps with Ground Stake are also waterproof - they will float in water, so you can use these as glowing fountain or pool lights, or light up punch bowls too! 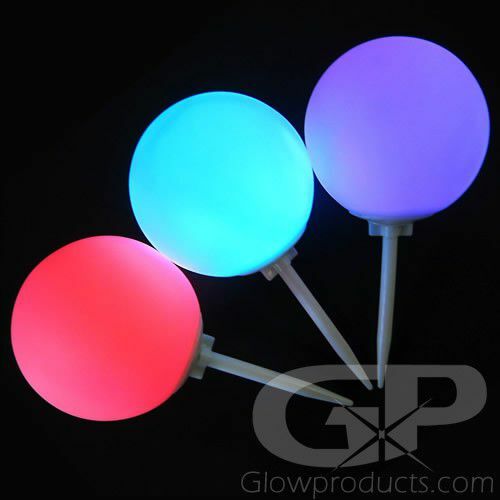 So light up your game, garden or party tonight with Glowing Marker Balls from Glowproducts.com! 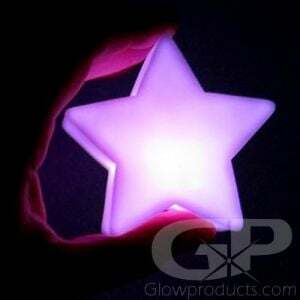 Instructions: Click the power button to circulate through the eight different color and light settings. Screw the accompanying ground stake into the bottom of the ball to use it as a glowing ground stake marker. The batteries are included, already installed and are replaceable.